If you had been watching America’s Got Talent this summer, in which I have and I have been voting, I did not write about the whole summer, I should have, and but I got busy with some other projects. Like I mentioned before I did vote for my favorite act and you should too. Remember you have to vote this is not the presidential election, but we can vote more than one time for favorite acts on AGT. When Chicago Boyz and Kenichi Ebina approached the stage, they were both great. Their was a mishap with Chicago Boyz when the jump rope was caught on the necks of the boyz while Kenichi floated in the air with strobe light effects, that was cool and perfect timing. Kenichi Ebina goes through the finals. What trick would he be performing next week? Next line up was Innovative Force and Cami Bradley. Innovative force did great in pulling an innovative stunt in their dance routine which was cool. Cami Bradley sang beautiful. Cami Bradley advances to the final. Next up was the Kirstef Brothers and Taylor Williamson. The Kristef Brothers did a parody of an exercise program commercial that we see at night but they used their strength while the students in the back was trying to keep up, that was good. Taylor Williamson kept us laughing at his jokes, one-liners and funny stories. He was funny, so Taylor Williamson advances. I hope he writes better jokes one-liners and funny stories. Follow by Forte and Branden James. They both did good. Forte advances to the final. Next up was D’Angelo and Amanda and Jimmy Rose. I like the dancing couple they were cute. They dance really good. Jimmy Rose sang good and Jimmy Advances. 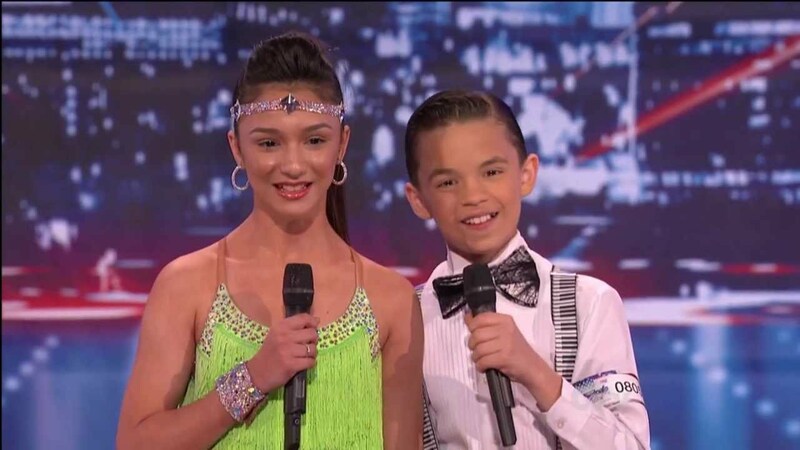 At least D’Angelo and Amanda stayed throughout the whole season, it was a pleasure to watch them dance. I hope someone will give D’Angelo and Amanda a chance to win and compete maybe Dancing with The Stars. The last group of people were Catapult Entertainment and Collins Key. Shadow dancing was absolutely good that was incredible to do I can’t even do that with my hands to create a shadow. Collins Key my five words are “how did he do it” I like magic. But one thing I don’t want to know it’s the secret of magic while spoil the fun and the entertainment of magic. What would he pull out of his magic hat next week? The Spice Girls.